StovePipe The Traveling Cat (www.StovePipeCat.Com) is the #1 Steelers FanCatic in the world. 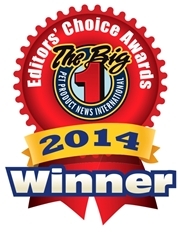 Anti-Icky-Poo is the odor removal products most recomended by veterinarians, and is 23 times more powerful that the leading national brand. 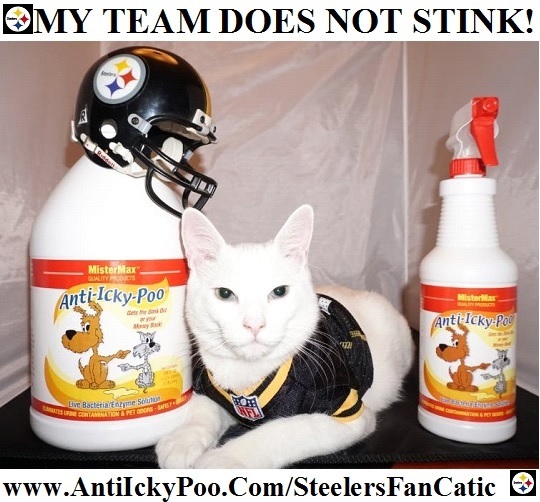 If you have pets, your team will not stink if you get Anti-Icky-Poo. Go Steelers. Beat those Ravens....Again and again and again! As a show of team loyalty, 5% of all www.AntiIckyPoo.Com sales on Saturday January 3rd will be donated to Pittsburgh area animal shelters. If the Steelers win, and they will, the amount will be doubled to 10%. 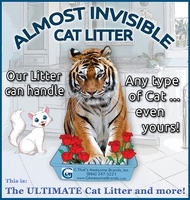 Go to www.Anti-Icky-Poo.Com and your pet home team will not stink either. GUARANTEED!